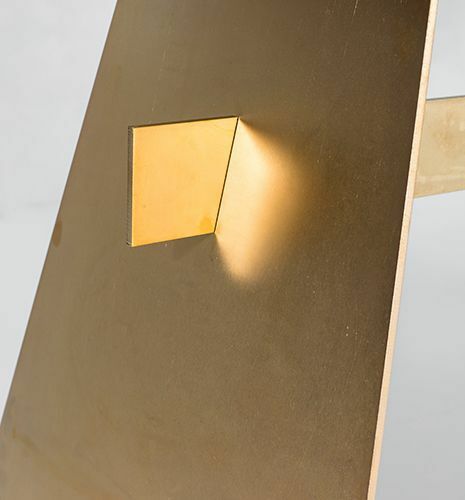 Inspired by the work of Italian designer Nanda Vigo with a hint of Richard Serra’s House of Cards, this is a new for 2017. 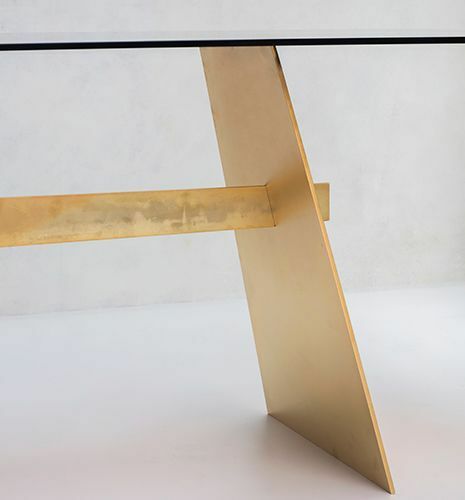 It is made of three pieces of plate steel, two of which lean in towards each other, using the third for support. 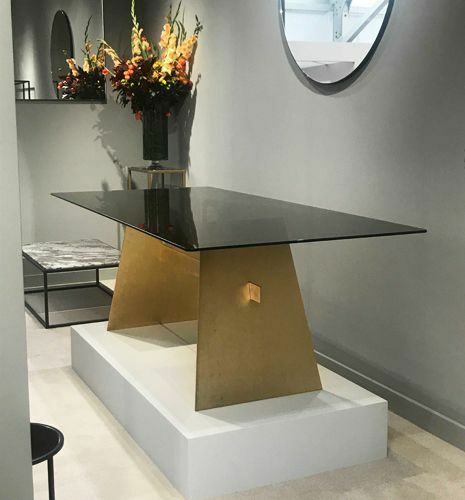 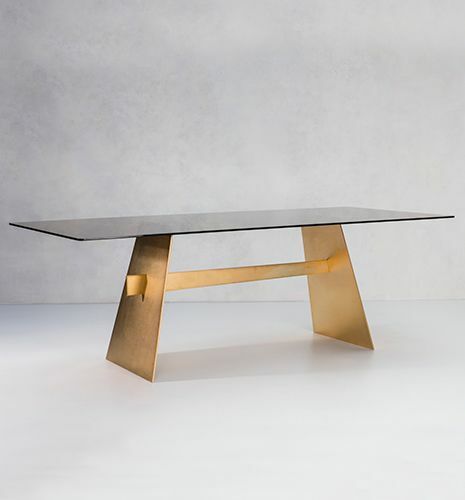 This is a simple and elemental table, combining heavy, unpolished steel plate with 24 carat gold and amber glass in this special edition for Decorex 2017.